On Jan. 2, the men’s basketball team took on the Lords from Kenyon College, where the Tigers captured a 95-67 victory after celebrating Champions Day. Prior to the game, the championship teams from 1964, ’69, ’74, ’89, ’94 and 2004 were honored. Head coach Larry Hunter, who passed away last year, was also honored as he was one of the first figureheads of the Tiger basketball program. The Tigers wasted no time in starting the game off as James Johnson, ’21, Jordan Pumroy, ’20, and Mitchell Balser, ’19, all fired three pointers. The Lords of Kenyon college were the first to score, but Connor Seipel, ’20, made a layup a minute and 47 seconds in, tying up the game. Less than a minute later, Seipel sank another layup pulling ahead of the Lords who never managed to catch up with the Tigers. Standout of the night was Levi Boettcher, ’22, who came off the bench and launched a shot from behind the three that put the Tigers ahead 11-4 after Balser stole the ball from the Lords. “Levi shot the ball really well from three, which we needed as Kenyon played a lot of zone. He was ready to shoot and once he made a couple, the guys were really looking for him,” Head Coach Matt Croci said. In the last 45 seconds of the half, Kenyon made a jump shot but as the buzzer sounded, the Tigers lead 45-28. Heading back out on the court, both teams sent out their starters and Balser took that opportunity to put up three points. Less than a minute later, Seipel put up his second three-pointer of the season and sent the Tigers farther ahead of Kenyon. Shortly after those shots were taken both Pumroy and Boettcher put up threes. With three minutes left in the game, the Tigers put in Tanner Cowgill, ’20, Will Swartz, ’22, Rashaad Ali-Shakir, ’21, Ryan Peaks, ’21 and Harrison Gough, ’22. As the minutes ticked down Cowgill made a jumper, Swartz made a layup and a free throw and Gough put a free throw up before Kenyon knocked down a three. The game ended with the Tigers five points away from 100 and are now 16-5. Balser lead in points for the Tigers after putting up 19 followed by Boettcher with 19 and Seipel with 17. Johnson lead in rebounds with nine and Pumroy lead with five assists. The Tigers had a total of 45 rebounds, 18 assists, scored 34 points in the paint, with six fast break points and put up 37 points from the bench. “We are still working hard to play our best basketball at the end of the season. That’s the goal every year and there is still a lot to play for,” Croci said. Coming up the Tigers will be taking on the Battling Bishops of Ohio Wesleyan University on Wednesday at 7:30 in the Pam Evans-Smith Arena before hitting the road and heading to take on the Fighting Scots of the College of Wooster. 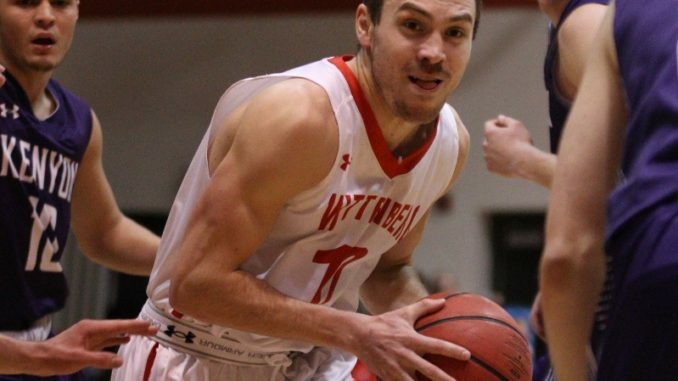 “The last game with OWU was a great game, going into overtime. We had to execute some key plays without much time and the guys performed well. We’ll have to continue to defend well if we want to win on Wednesday,” Croci commented. On Wednesday, Jan. 13 the Tigers will be taking on the Little Giants of Wabash University to celebrate Senior Night at 7:00 p.m.